Upon your arrival to the cosmopolitan capital of Cusco, you will be greeted by our representative and transferred to your hotel. There, you will receive a short briefing and be given the morning to acclimatize. In the afternoon, we will introduce you to the Imperial City of Cusco. 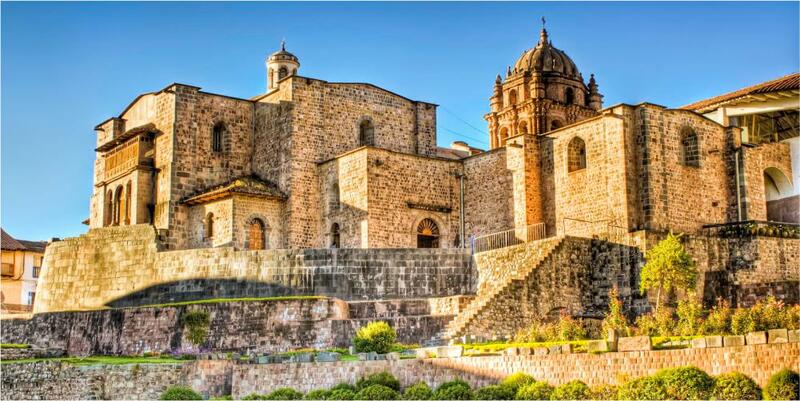 Cusco’s history lives in its streets, squares, valleys and towns. 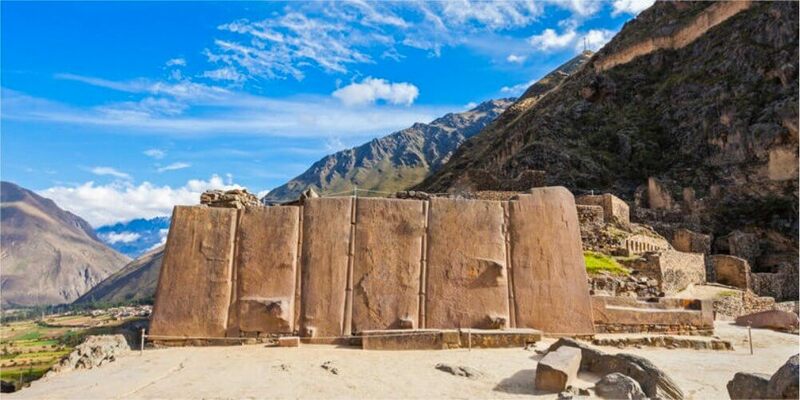 You will find stunning destinations and examples of fine engineering by Inca stonemasons and living examples of the mix of Andean and Spanish culture. Continuing our journey, we visit the Santo Domingo Convent built over the Koricancha, as well as the ancient Inca Palace, the main worship center of the Sun God. Our discoveries continue at the unmatched and mesmerizing archaeological site of Sacsayhuaman and its military Inca architecture, which dominates the city. 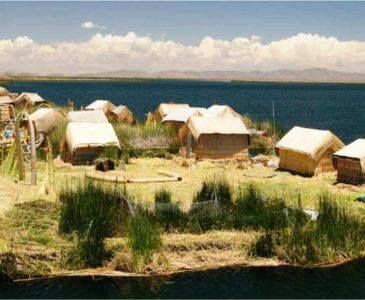 Finally, you are introduced to the contrasts of the indigenous ancient sites of Qenqo, Pucapucara and Tambomachay, located in the north east of the city. We then head back to your hotel in Cusco by early evening. We will pick you up at your hotel at 7:30am, with our private van and head towards the Sacred Valley of the Incas, taking the direct route to Pisac. 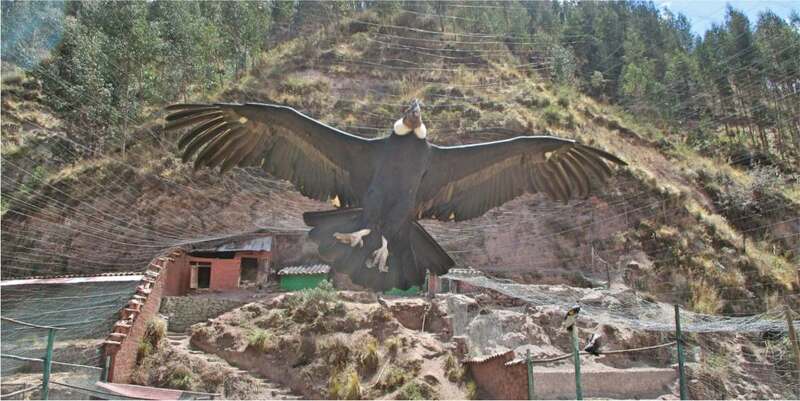 We drive to the Ccochahuasi Animal Sanctuary, which has a variety of Peruvian animals including Pumas, and Condors, the national bird of Peru. Thenm you are off to the mirador of Taray to enjoy a classic view of the Urubamba valley with crops dressing the mountains like a carpet. Onward, we drive to the archaeological site of Pisac, where you can see the biggest Inca cemetery with more than 2,000 tombs. 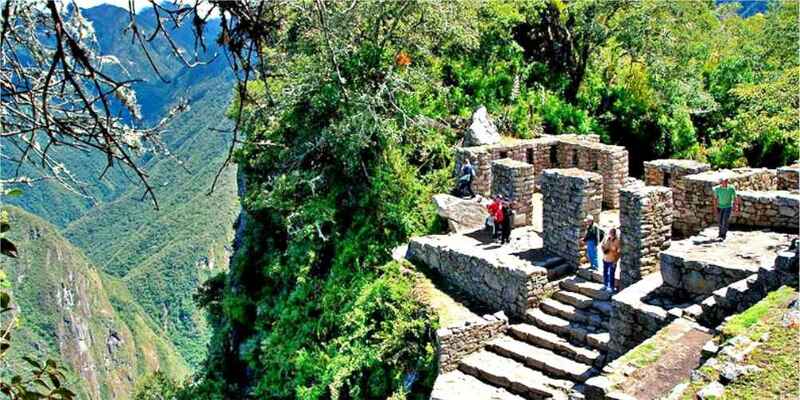 There, we can admire the incredible farming terraces carved into the mountain, explore the Inca tunnel and the religious area of this important citadel. 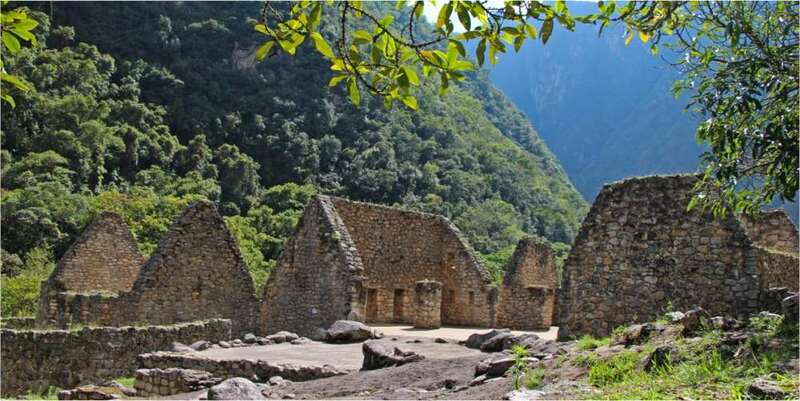 Here, we will spend more than 2 hours, exploring the Inca city. Then, we head back to the colorful market of Pisac, spend some time visiting it and then drive to Urubamba for lunch. With timeless charm, we visit the archeological site of Moray also known as The Greenhouses of the Incas an evolutionary bowl of ecological difference. 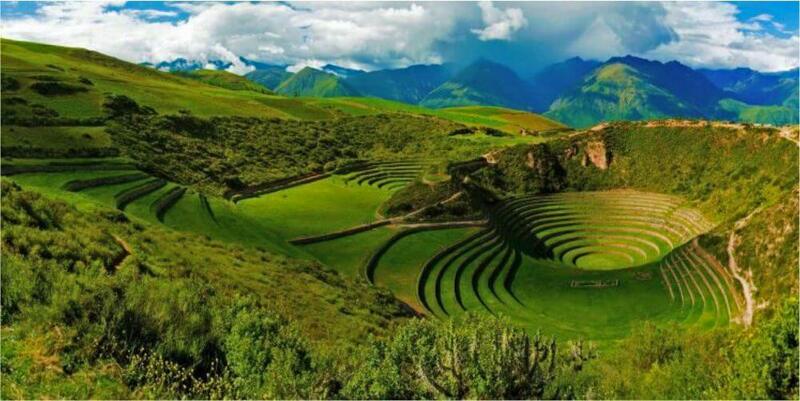 Levels of terraces are carved into a huge bowl, which was excavated by the Incas. The terraces have varied microclimates depending on how deep into the bowl they are placed. It is thought they were used by the Incas to discover the optimal growing conditions for their crops. Expanding on our journey to the colonial town of Maras, ascending our hike downhill to the pre-Inca salt mine. 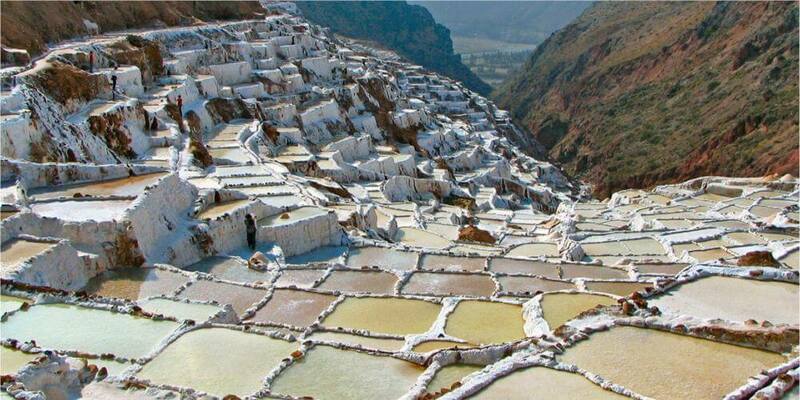 Thousands of saltpans have been used for salt extraction since before Inca times. A hot spring at the top of the valley discharges a small stream of heavily salt laden water, which is diverted into saltpans and evaporated to produce a salt that is used for human and animal consumption. Finally, we drive to Ollantaytambo, having time to explore the age old and bustling Inca village and the massive Inca Ruins, with a tour provided by our guide. Here you spend the night at your hotel in Ollantaytambo, ready to start the Inca Trail the next day. With a compacted 2 days of excitement ahead, we pick you up from your hotel by 5:30am, and drive you to the train station nearby. You will have an hour and 20-minute ride by Expedition train to 104 kms (2,100m/6,927ft) where you will begin your trek and cruise past the first checkpoint with ease. 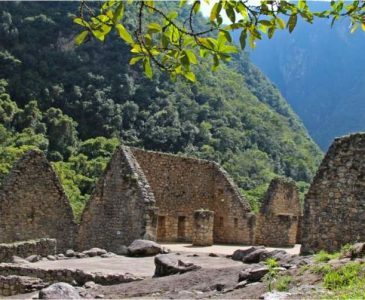 Afterwards, we initiate a moderate climb for three hours to the chiseled remnants and remote archaeological site of Wiñay huayna. (2,650m/8747ft). As we view out with an open mind and heart, we embrace the spectacular plunging views of the Urubamba Canyon, and the ethnic wonder of ancient Inca sites, we make our connection into the traditional four day Inca Trail. After being at one with this beautiful sight, we continue onward towards the Sun Gate (2,730mts/9,007ft). Following the ancient remote footpath, we grasp onto our first spectacular view of Machu Picchu in all its brilliance and majestic monumentality. 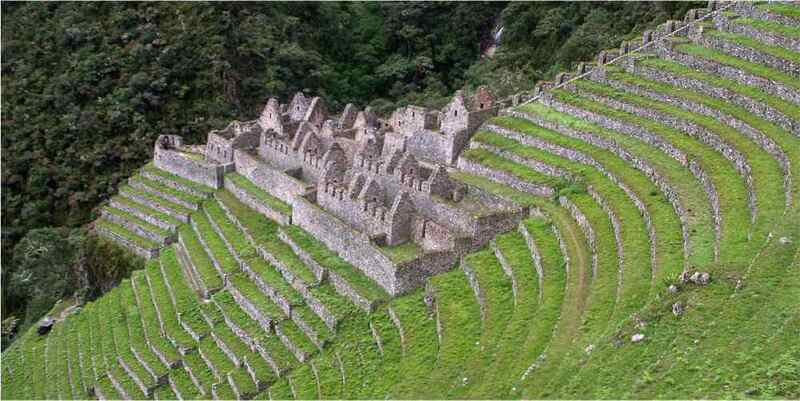 As we move closer to the Citadel of Machu Picchu, you will feel the reasoning of her energetic vibration. Then we take our bus to Aguas Calientes, where we spend the night in our hotel. Meals: Box Lunch & Dinner. Bursting with excitement on your final surreal day, we take the first bus at 5:30am to Machu Picchu archeological site, making sure we tour every nook and cranny of this New 7 Wonder of the World and UNESCO World Cultural Heritage Site. The Citadel of the Incas, Machu Picchu, what an unforgettable experience. Your guide will expertly direct you through the energetic ruins and its diverse main streets. Then on your own, you can wander around the town squares of the world’s spiritual center of esoteric wisdom, as well as climb the intricately carved stairways made of stone. Alternatively, you can stay still and find the peace within as you sit in the pure delight of the moment. Finally, climb Huayna Picchu to appreciate the beauty and magnificence of Machu Picchu and the valleys below. After having breakfast at the hotel, enjoy your remaining time in Cusco city then in the afternoon we will drop off at the airport to take your plane back to Lima. Professional guide for four days. Four nights hotel accommodation with private room, bathroom and breakfast included. ***The fantastic tour with Inca trail included is available on any date that will suit you – Join in with our group and get the best deals. ***Private service is available for $100 USD more per person for the entire tour. 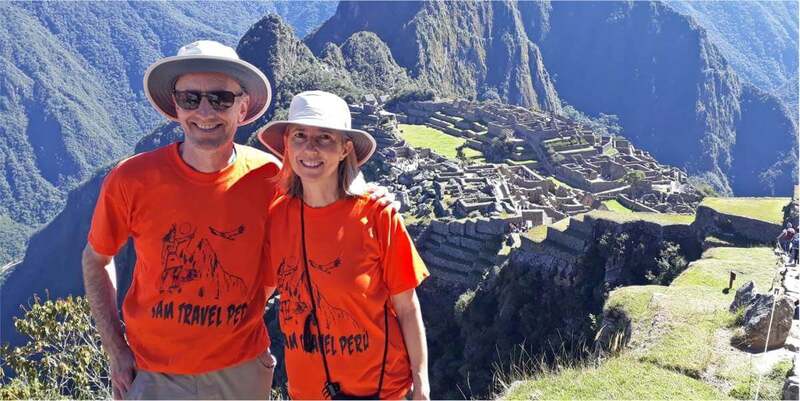 In an effort to provide a more personalised service to our passengers, we at SAM Travel Peru have a policy that our groups will not exceed 8 people. This fact alone sets us apart from other companies that operate departures with bigger groups. We are proud of our guides! Highly professional, speaking fluent English, very knowledgeable and passionate for Incan heritage and history. Our guides are dedicated to steady personal development, learning to ensure that you receive accurate and recognized theories in Incan and Andean culture. Fun loving, great sportsmen and well – educated crew, as well as, holding degrees in one of the following: Archaeology, Tourism, Botany, History or Anthropology. 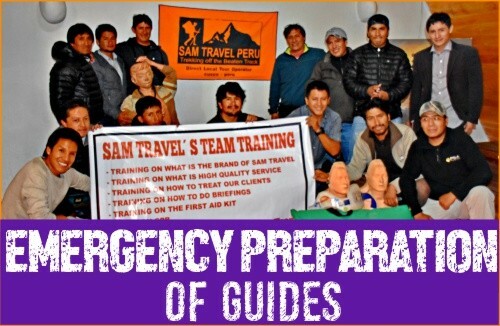 SAM Travel Peru have always believed that we should “give back” to the local isolated communities. Therefore, as part of our commitment to responsible tourism, we always do many social projects and hire locally. 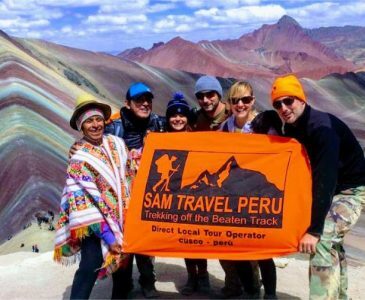 SAM Travel Peru is so proud to be able to support these people, not only employing them but go back to our grassroots as they share with their families. It makes us happy to have this holistic approach with our highland employees and their families! You will be welcomed at Cusco airport and taken to your hotel, please ensure that you inform us of your full flight details at least 14 days prior to your trek. Look out for our representative holding an orange board SAM Travel Peru at the arrival terminal. It will take place the night before the tour at 6pm in our office which is located at Calle Santa Teresa Nº383 ; 303 (second floor), we are next to SUBWAY restaurant. Of course! During the Sacred Valley Tour & Short Inca Trail Package your main luggage can be store at our office or at your hotel, both are for free. 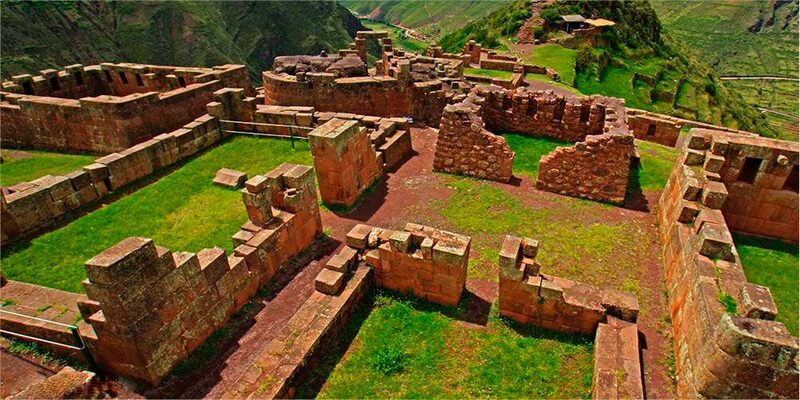 FIRST, to book your Sacred Valley Tour & Short Inca Trail Package, we need you to fill out our booking form by clicking on BOOK NOW on our homepage or click here the link BOOK NOW. It would be greatly appreciated if you pay in cash at our office (US dollars or Peruvian soles) here in Cusco. We have many ATMs within the historical center to withdraw money. You can also pay by VISA or PAYPAL online but you will have to pay a 5.5% service charge, charged by VISA and PAYPAL. To pay your balance through PAYPAL, you need to log into your PAYPAL account using our email address of samtravelperu@gmail.com. 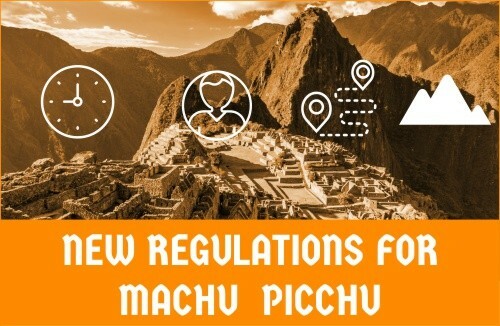 According to Peruvian Law, you must be under 18 years of age at the time of your trek, tour, or visit to Machu Picchu (students 18 & above need student cards). For example: if you book a trek at the age of 17 but you turn 18 before you do your trek, you do not qualify for a student discount. Unfortunately, the answer is No. Once the tickets have been bought the government does not allow any changes, so we can’t change any departure date after the tickets has been bought. Tickets are also not transferable nor refundable. If you cancel your Sacred Valley Tour & Short Inca Trail Package, the deposit is not refundable at all! Yes! You have to bring your original passport and it is very important that it is the same passport number you sent to us to book your entrance to Machu Picchu, train ticket, other entrances and reservations. In case you are renewing your passport or changing your name, go ahead and send us your old passport information to secure your permit, and we can change it when you get your new passport number or updated your name for a fee of $25 USD per person. We must have a copy of your old and new passport to make the change. Before you change your passport keep a copy of your old one. If you do not wish to pay this fee you will need to bring both passports to Peru with you. You can enter Peru with your new passport but you will need to show both passports, old and new to be to enter into Machu Picchu or the train. If you do not have both you will not be allowed to enter into Machu Picchu or get on the train. The weather is very unpredictable and it’s difficult to foresee. We recommend to always dress in layers as it is more easier to adjust to the different climates. In general, if you excerise regularly and spend a couple of days in Cusco or the Sacred Valley, you will be able to acclimate normally. It usually take between 24 hours to 2 days. The recommended remedies for altitude sickness is WATER, COCA TEA and OXYGEN IF NEEDED; our guides are trained to treat you for Altitude Sickness. For more detailed information on Altitude Sickness click this link: Altitude Sickness. If you’re happy with the services provided, a tip – though not compulsory – is appreciated. While it may not be customary to you, it’s of great significance for the people who will take care of you during the tour. It inspires excellent service and is an entrenched feature of the tourism industry across many SAM Travel Peru destinations. Of course, you are free to tip more or less as you feel, depending on your perception of the quality and the length of your tour. Remember, a tip is not compulsory and should only be given when you receive excellent service. 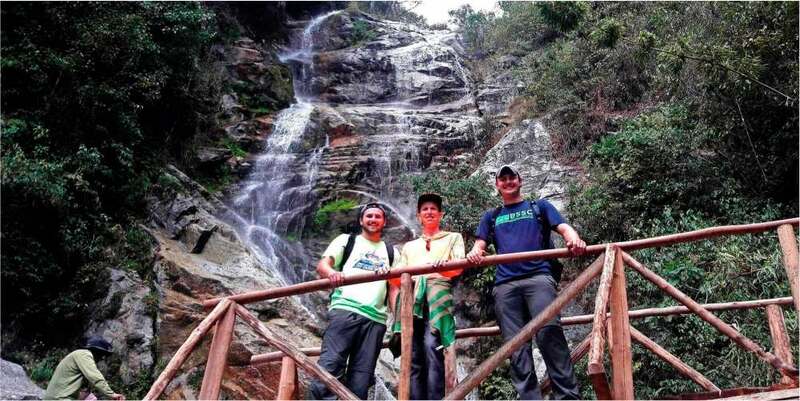 The Sacred Valley Tour & Short Inca Trail Package does not include extra porter, so, you will need to carry all your thing, please try to pack as light as possible which is the key to enjoy this amazing trek. What you have to take with you for the Sacred Valley Tour & Short Inca Trail Package?